The NIPAH virus is not widespread in Kerala. It is limited to a narrow region and has affected a few people who were in contact with each other. It has occured in the regions of Kozhikode and Malappuram. The government has taken all measures to control it and avoid spreading.Kumarakom is far from Kozhikode and Malappuram districts. And there is no cases reported in this region. As of now, the virus hasn’t spread to any other region in Kerala. And all the Houseboats are running and is completely marked safe. 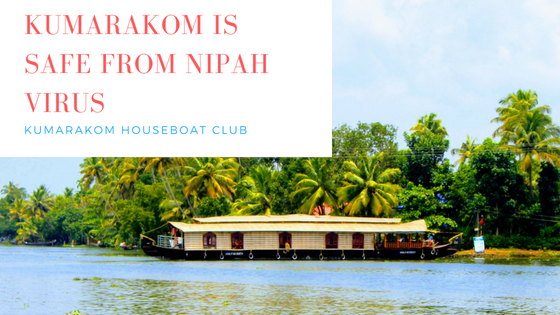 Kumarakom is completely safe from Nipah Virus. Only Kozhikode and Malapuram districts are affected by Nipah virus.